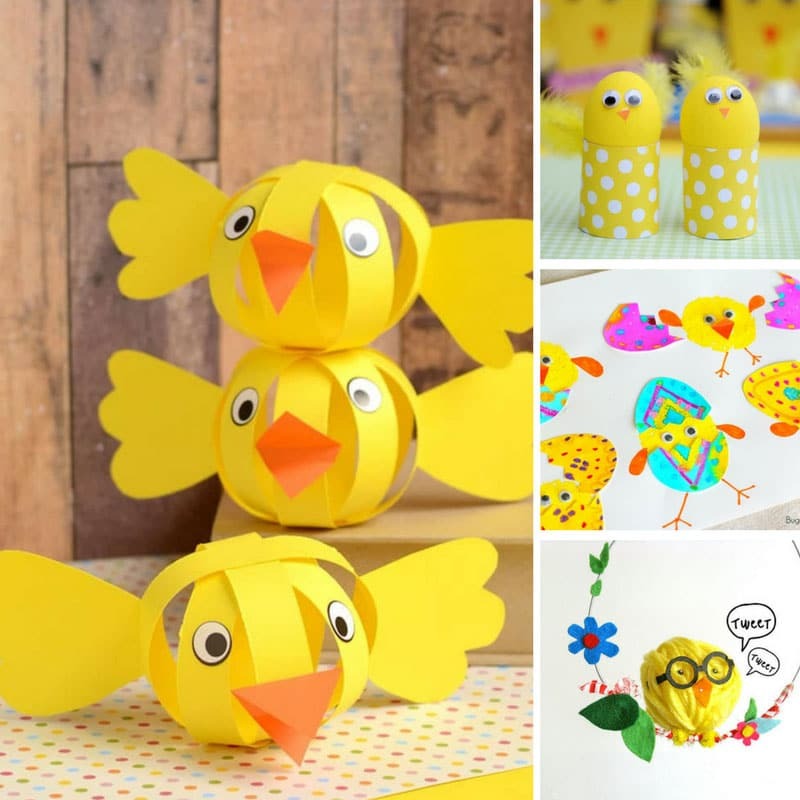 It doesn’t get any cuter than these Easter chick crafts for kids and most of the supplies will already be in your craft stash! There’s something here for toddlers to teens and all ages in between! 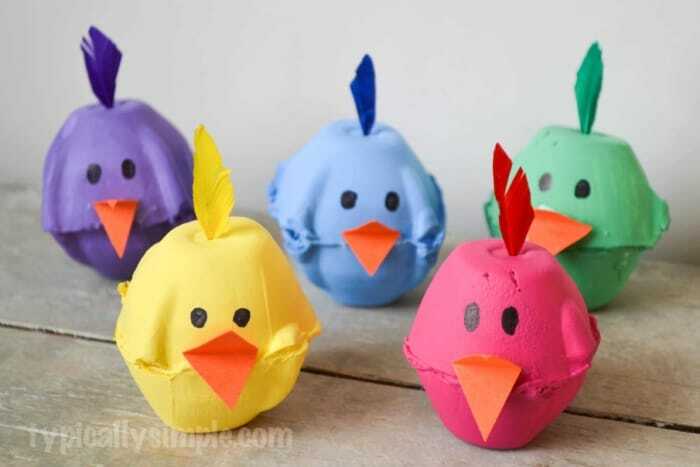 Easter crafts for kids don’t have to be all about the bunny, this year why not make some of these adorable chick crafts too! 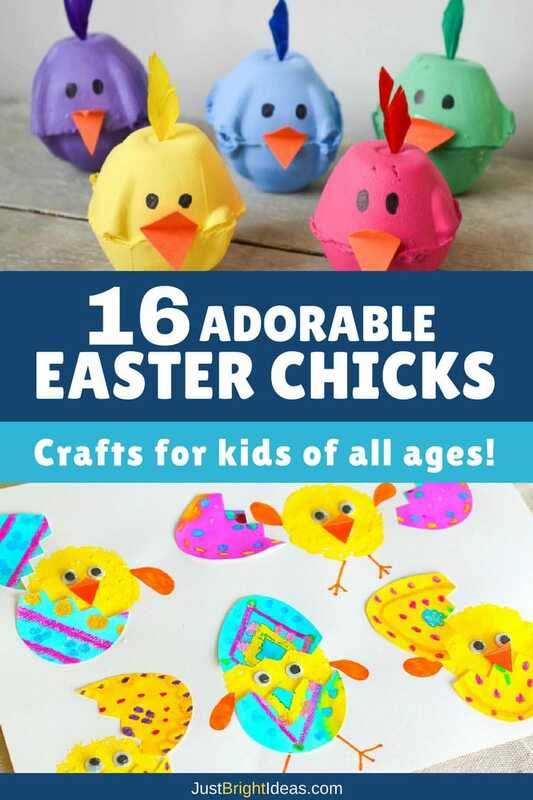 There were so many fun ideas I had trouble whittling down the list, but I was really happy to find a range of crafts that were suitable for toddlers right through to teenagers, and of course everyone in between! 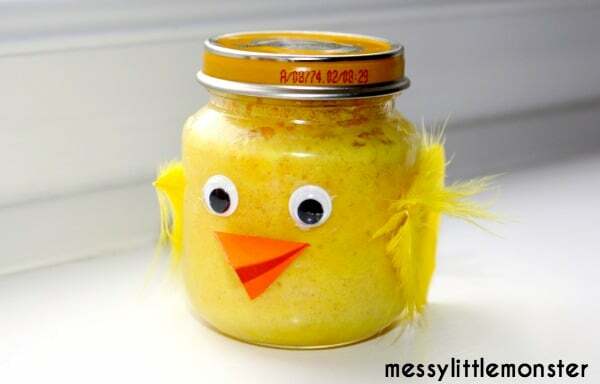 The best bit about making this cake is that it bakes super quick in the microwave, and then your child can get to work making the jar look just like an Easter chick! How cute is this little guy! He makes a good noise when you shake him too! This is a really simple – and almost mess free – craft that even toddlers can do with a little help from mom. It’s always fun to craft something from scratch that your child can play with afterwards. 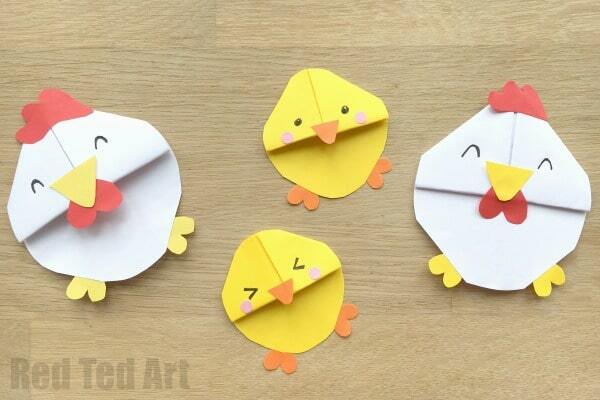 These chick puppets can be used to act out stories or sing songs, and making them is great fine motor practice for your child too. If you like to use recycled items in your crafting sessions you’ll love this one because it puts your empty egg cartons to good use! The chicks are pretty cute too and would make great table decorations for Easter lunch, especially if you popped some treats inside! 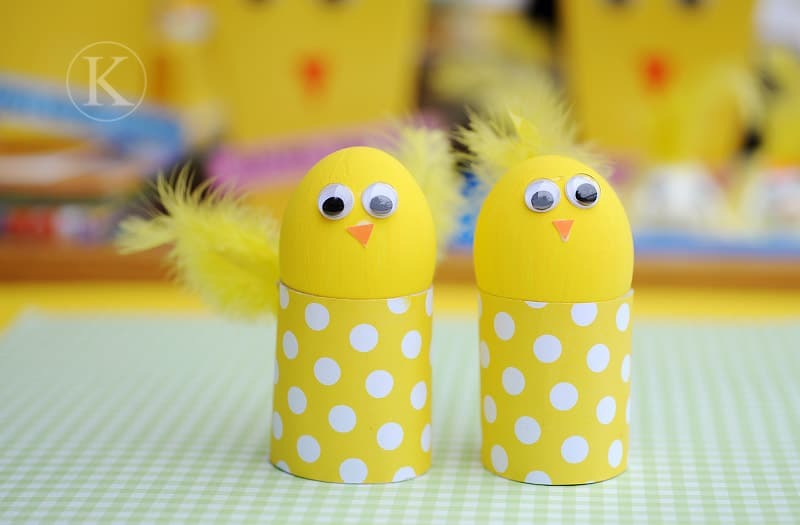 If you’re looking for Easter egg decorating ideas try this cute pair of Spring Chicks! I love the polka dots on the paper used to cover the toilet roll tubes but you could use any paper you have to hand. 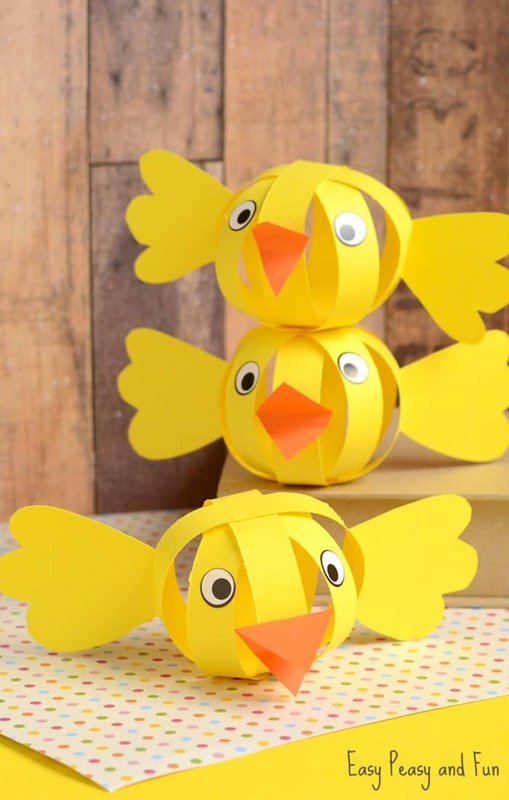 Paper crafting is fun for older children and it’s so cool how you can turn some simple paper strips into a whole family of cute chicks! 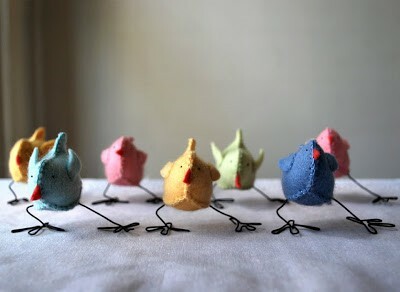 I couldn’t help but smile when I saw this little gang of Easter chicks getting their Thriller moves on! 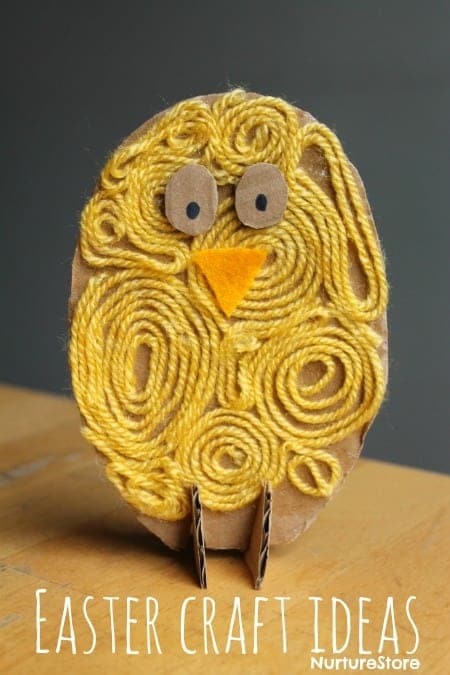 It’s a great choice of craft to do with an older child who likes to sew. Once the chicks are ready they can have a lot of fun replicating some more modern dance moves! Note: If you have small children in the house you might be better off skipping the wire legs and just making nesting chicks. The wire can be pretty sharp. 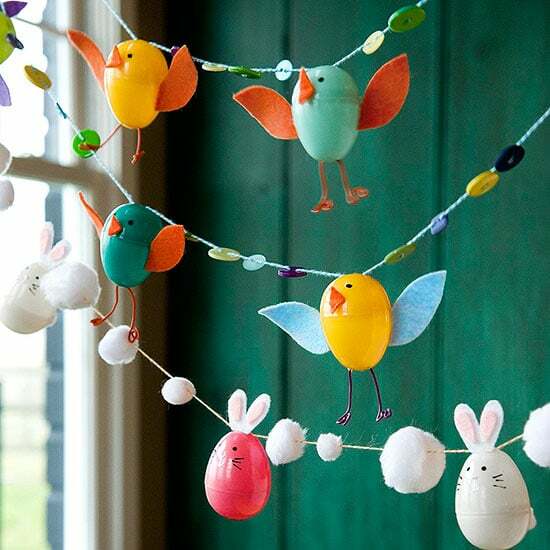 Here’s another way to use those plastic Easter eggs in a crafting session. And the garland is the perfect way to decorate your mantel for the Spring! 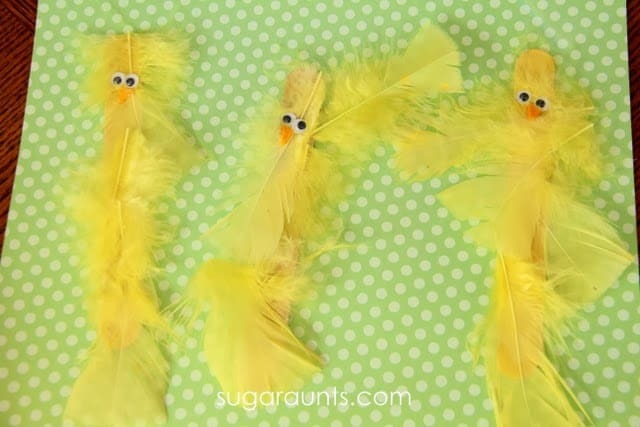 If you’re looking for a mess-free Easter chick craft this one is a great choice. 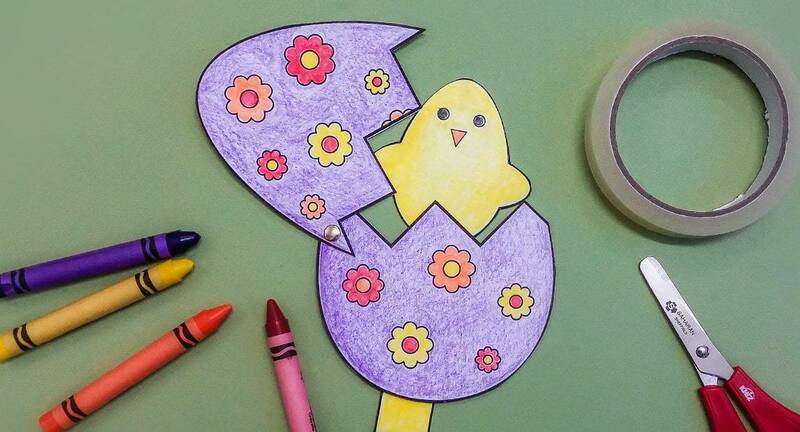 Just download the free printable, cut it out and let your child go to town colouring in the egg and the chick. Then it turns into a fun Peek-a-Boo puppet! You might want to attach a craft stick to the back of the paper stick to make it more durable. 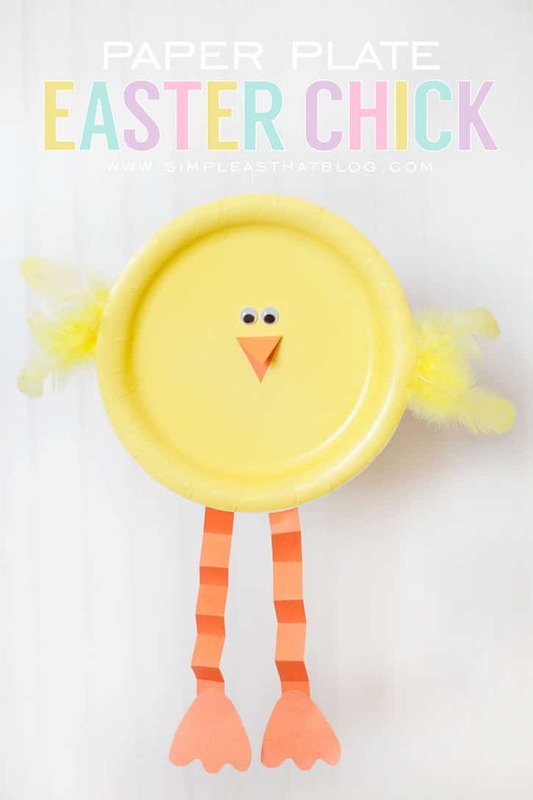 Paper plate crafts are super simple and super fun, and this little guy would make a really cute wallhanging as part of your Spring decor. Oh my goodness how cute is this little guy?? I think it’s the glasses! This project is definitely one for your older child because it needs some more advanced skills. It’s pretty simple but it will take some time to cut out all the little flowers and leaves (unless you buy them pre-cut of course, Amazon has some great designs). He’s so adorable I’d let him live somewhere in the house all year round! Ha! Here’s another super cute chick! 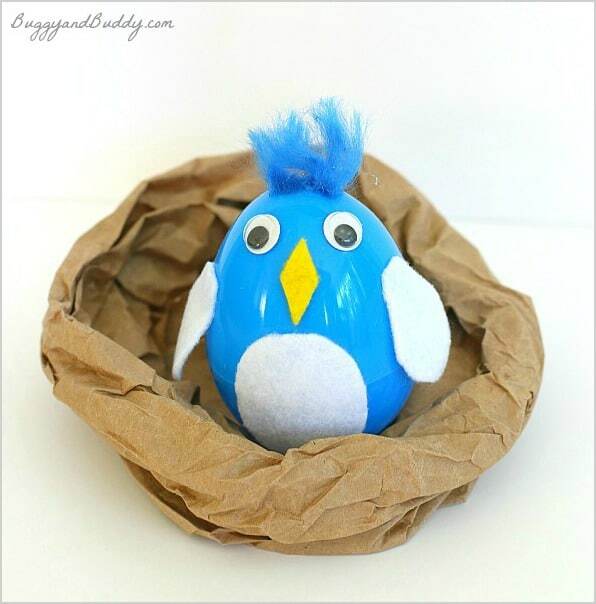 This one is perfect if you are trying to have some crafting fun with children of different ages. I am totally in love with the corner bookmarks designed by Red Ted Art so I just had to include the chick version in today’s collection! They take a bit of practice to master but are totally worth it! Your child might want to make a whole pile of them to give as gifts to their classmates! 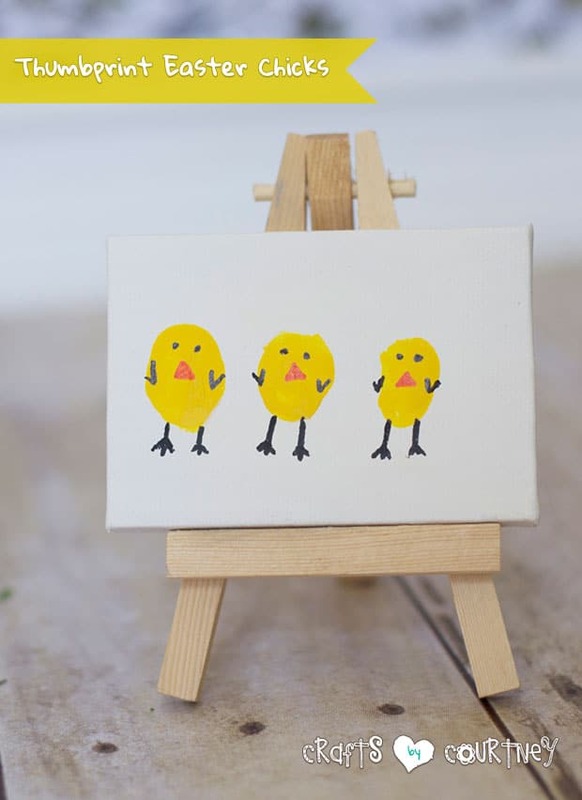 Here’s a painting chick activity that is fun for Kindergarteners or even first graders. They’re so bright and colourful and they can have a lot of fun setting up the scene with the little chicks breaking out of the eggs! 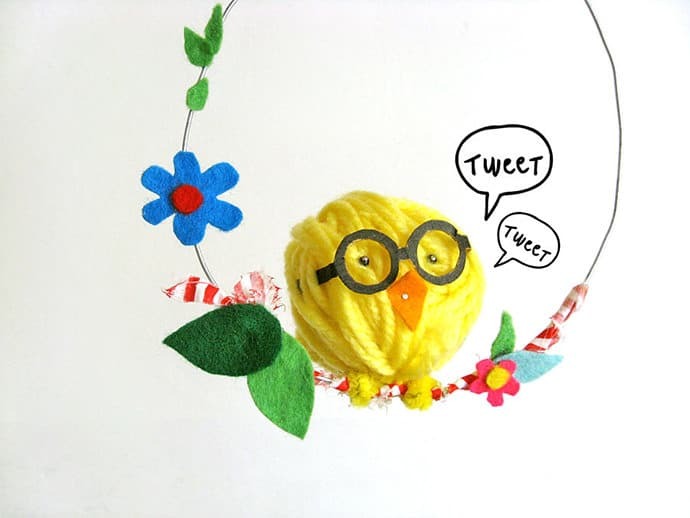 These thumbprint chicks would make a lovely Easter card design. Your child can use each of their fingers to make chicks of different sizes, or each member of the family could add their own thumbprint! 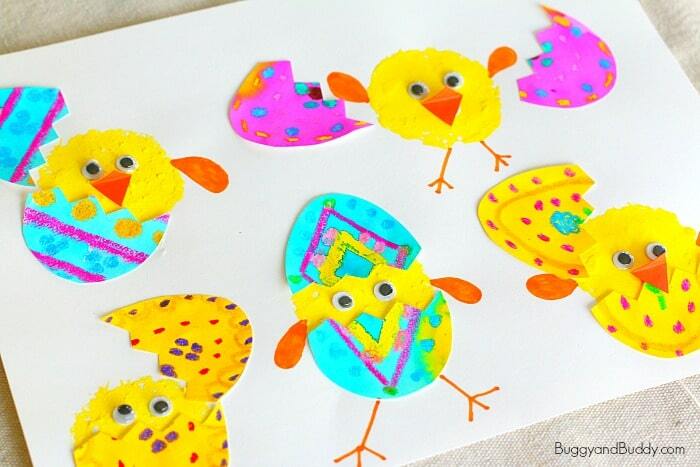 Here’s another way your child could make an Easter card. This time the chicks are made using wine corks! 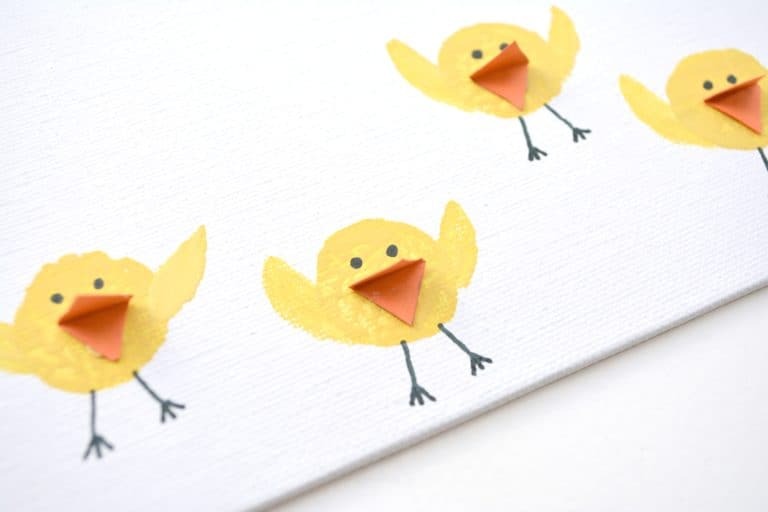 If you wanted to use this idea or the previous craft as part of your Spring decor just use a small art canvas instead.